Ruff ruff! Is your girl ready to join the Paw Patrol team? We can get her a prime spot in the top doggie rescue crew when she has this Everest dress costume! With this look, she'll be able to transform into the super cool Siberian Husky who's ready to help the Paw Patrol team. With your girl ready to clear mountaintop roads from snow and chip in with her handy grappling hook, the Nickelodeon team will be ready to save the day! 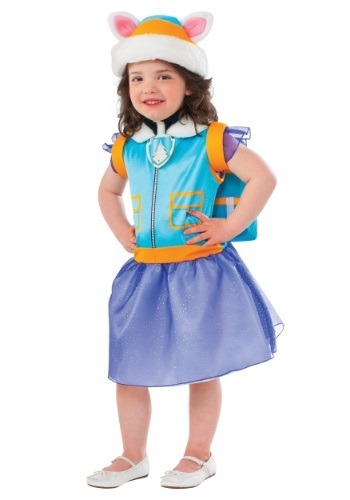 This officially licensed costume is based on the hit television cartoon, and this costume brings character Everest's on-screen look into the real world. Her signature teal vest with fur trim will look perfect on your little one, and the elegant mesh skirt matches the grey-lavender fur of this famous pup. Complete with a fur trimmed hat with husky ears, and an action pack that will make her feel like she's a real member of the team, this costume look is sure to inspire some amazing play time with a whole bunch of pretend belly-bogganing! 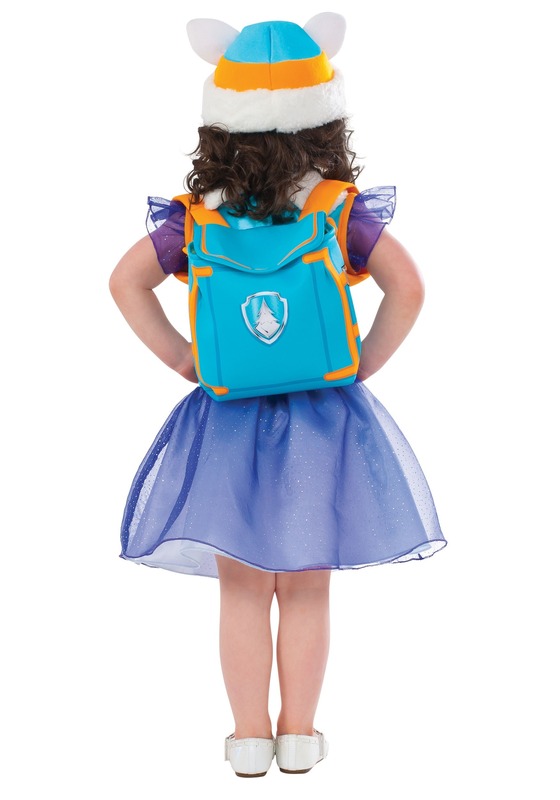 Coordinate her costume with her friends or siblings by choosing from our selection of Nickelodeon costumes, and you'll be able to assemble the entire Paw Patrol team right in your home!